0% interest … that’s right ZERO! Already you’re saving thousands by shopping at Tacoma Auto Exchange. The average in-house financing car dealer charges anywhere from 20.9 to 29 % interest. You’re saving roughly ¼ of the price of the vehicle. Save thousands of dollars by shopping at TAE ! * If the vehicle costs $4,000, you are saving approximately $1,000 (*estimated savings). Pay off your vehicle in less than 1 year ! ** You’ll pay the vehicle off much sooner because every cent of your payment goes to pay your balance down. (**estimated time frame based on average vehicle price. Less down and more expensive vehicles may vary). 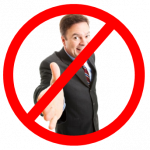 NO pushy car sales: We won’t sell you a car, but you’ll probably buy one. Our program and terms sell themselves. We are a no-pressure dealership. 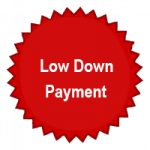 Low down payment plans: We make it affordable to get into a reliable, affordable vehicle … with low-down options. 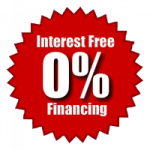 Down payments as low as $400 depending on the price of the vehicle. We don’t pull your credit : We respect our customers and understand that we all have issues. We’re looking for good people with bad or no credit OR someone who just appreciates 0% interest on their vehicle loan.